Attention all LA Kings Hockey fans! 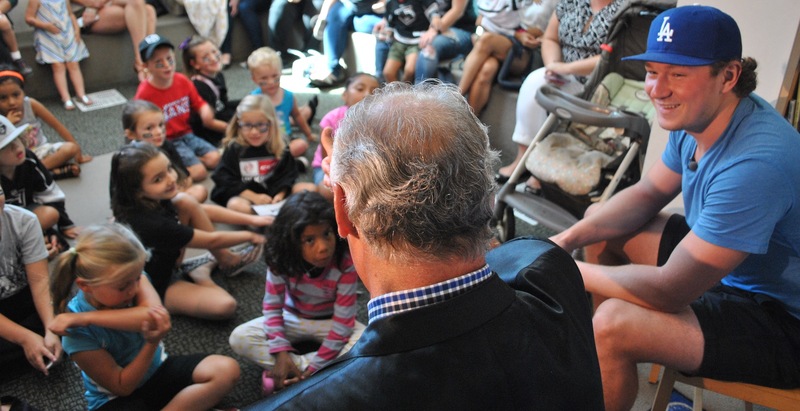 The LA Kings Storytime Read-a-long program is making their rounds again this summer to many public libraries across Los Angeles. They’ll be here to read the children’s book “Z is for Zamboni – A Hockey Alphabet” as well as answer questions, sign autographs, and pose for pictures. 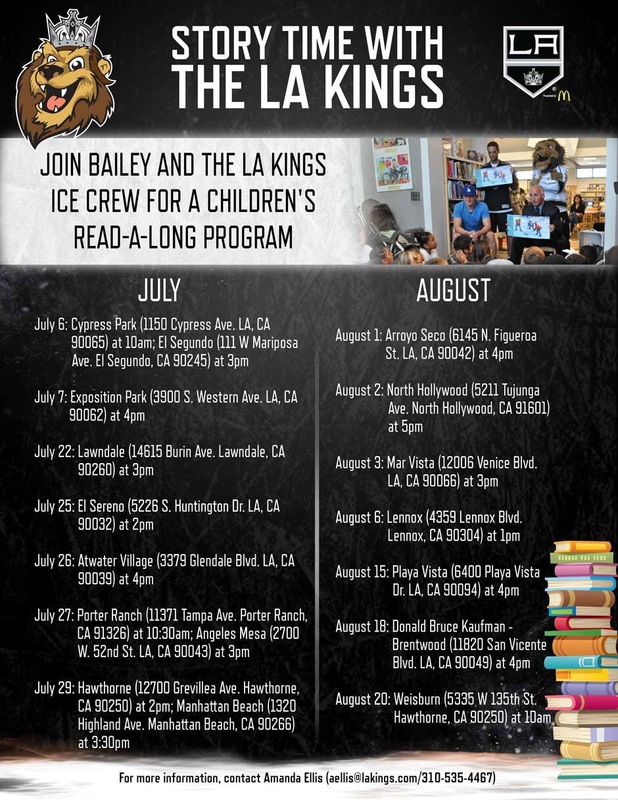 The Ice crew is scheduled for the Playa Vista Library on August 15, 2016 at 4pm. It’s the first time the crew will be visiting Playa Vista since the reading program began. Come dressed in your best LA Kings gear. Last year, forward Tyler Tiffoli showed up as a surprise guest! Who do you think will make a special appearance this year? Planning to go to the Hawthorne location as we couldn’t make the Playa Vista date. Thanks!